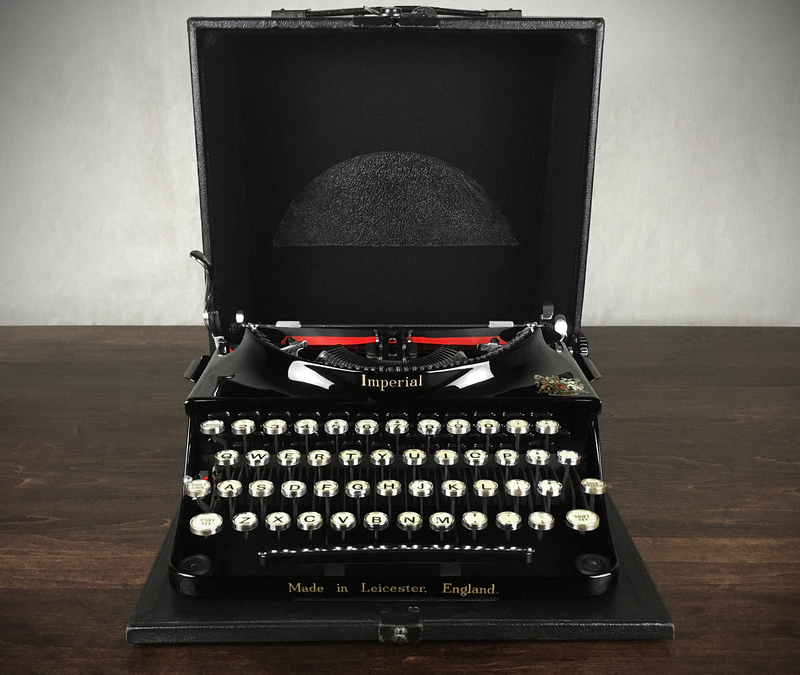 Offering a meticulously refurbished 1933 Imperial ‘Good Companion’ Portable Typewriter. It was disassembled for refurbishment, so the mechanicals could be fully cleaned, and adjusted. 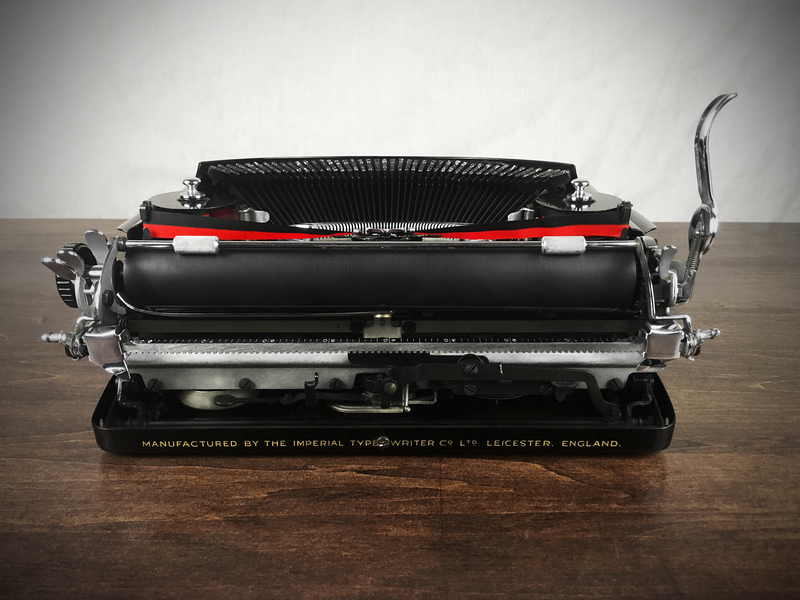 We extensively test our typewriters throughout the long refurbishment process. 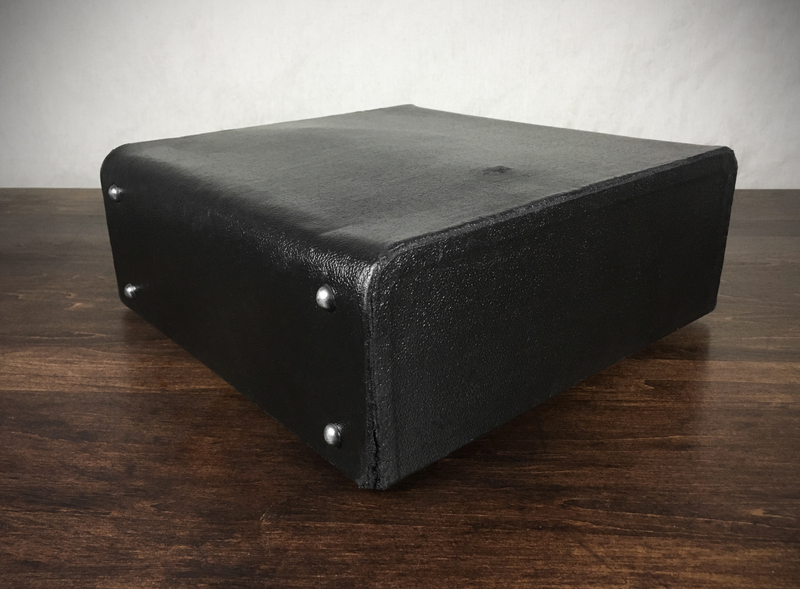 Even the typewriter carrying case has been reconditioned. 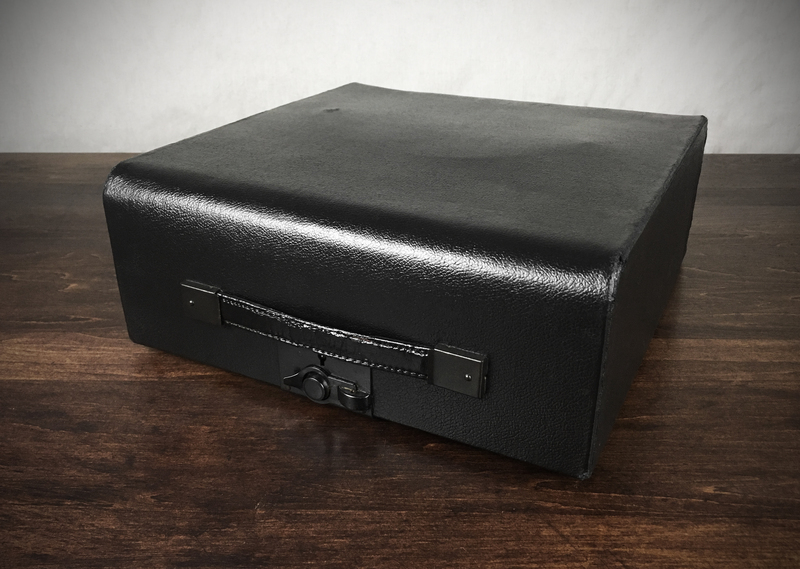 This is as good as it gets for a 1930s Imperial typewriter. Impeccable condition. 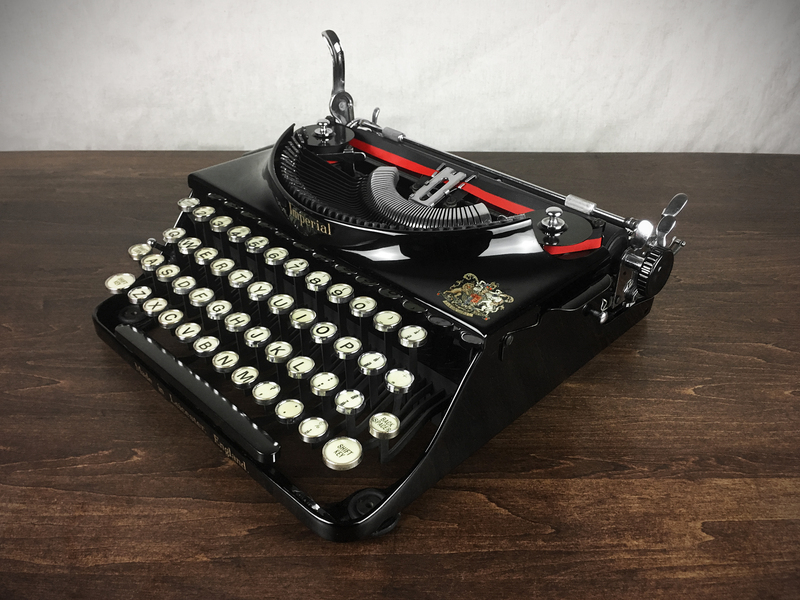 The typewriter is available in both the Chairish and Etsy marketplaces. Click here to view this typewriter with more photos, and full details. International shipping is available by request. 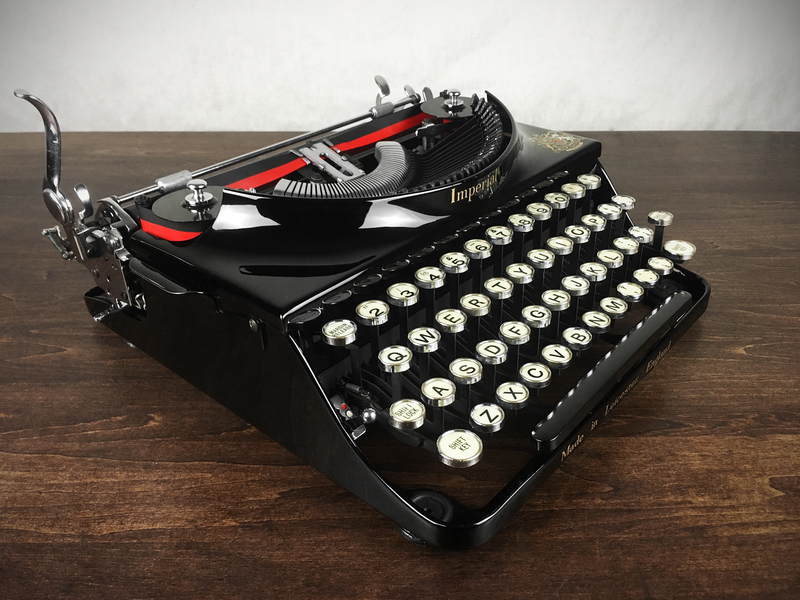 It’s been many years since the vintage typewriter revival started, and the trend is here to stay. We frequently stock fully refurbished 1920s & 1930s models from Royal and Imperial. The Royal typewriters were manufactured in NYC, and they’re built to last many lifetimes. 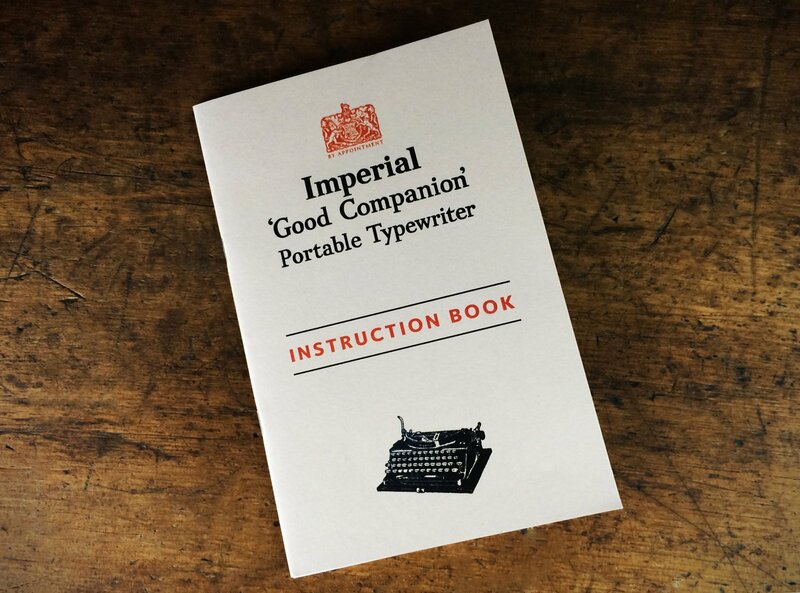 The Imperial typewriters were manufactured in the UK, and are incredibly pleasing to the eye, with lots of chrome, beautiful contours and also built to last many lifetimes. There are a lot of typewriters out there, but finding an early example carefully refurbished and brought back to its full glory is a rarity. 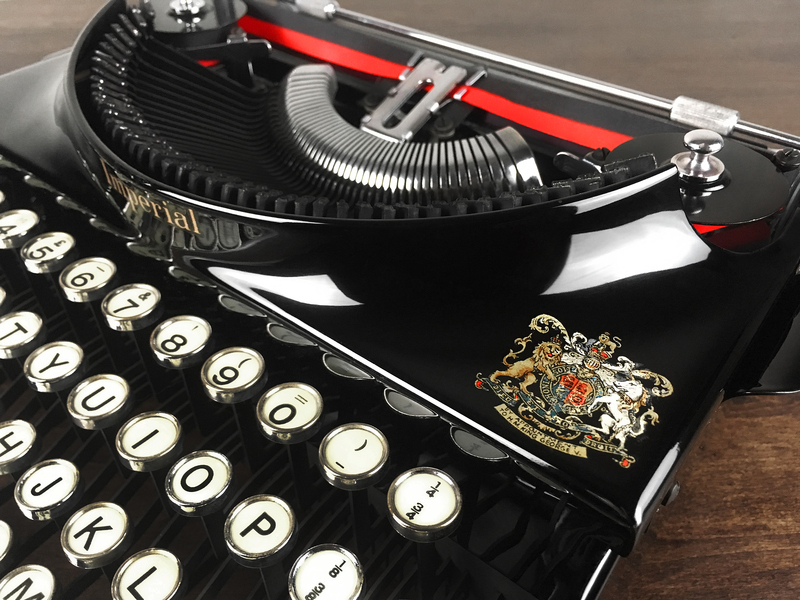 All our typewriters are meticulously cleaned, polished, waxed and mechanically serviced, resulting in a reliable machine with beautiful time-warp looks, feel and typing from a bygone era. They’re a real treat to admire and type on. The typewriter above is a Royal Model P from the early 1930s. It has tabulation, which is an unusual feature for this model. The mocha two-tone brown is outstanding. For more information on this model, please visit Hartong International on Etsy.